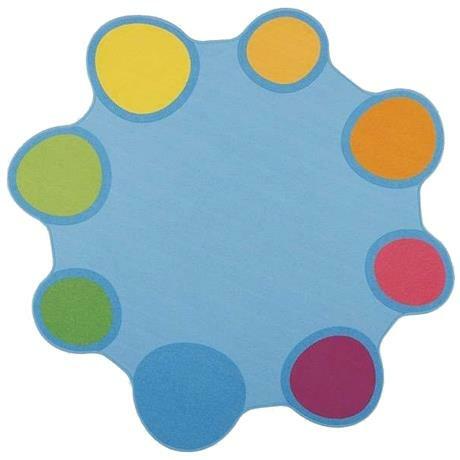 This huge acrylic rug is soft yet durable with a bright palette design. This is a discontinued line, and will have creases and small flaws from being in storage. Now on sale, reduced from £285.00 to £100.00 this is a bargain for someone who doesn't need perfection! All sale items are non-refunable and non-returnable.